The highly-popular movie will air on the channel's "Kapamilya Blockbusters Family Weekend" movie block, but did not mention the premiere date. 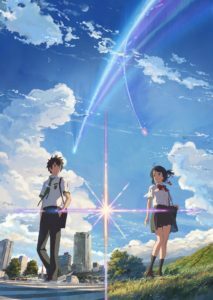 Terrestrial network ABS-CBN has announced in a television advertisement on Friday that the highly-popular anime film your name. (Kimi no Na wa.) will finally make its Philippine television premiere on the channel soon. The advertisement indicates that the movie will premiere on the channel’s “Kapamilya Blockbusters Family Weekend” movie block, which airs Every Saturday at 10:30am, but did not mention the specific premiere date. your name. is expected to air on ABS-CBN on Free TV nationwide, and ABS-CBN HD on SKYcable.